Ofcom has confirmed a number of changes to the technical code that underpins digital terrestrial TV, with ITV, Channel 4 and Channel 5 now free to choose a lower picture resolution on their Freeview standard definition channels. The technical code was the subject of a consultation earlier this year, with the document needing to be updated to remove references to analogue TV, four years after the last analogue terrestrial TV transmissions were turned off. Following the consultation, Ofcom has agreed to deregulate aspects of the technical code, with requirements dictating a minimum picture standard and resolution enforced on ITV, Channel 4 and Channel 5's Freeview SD channels being abolished. Until now, the broadcasters have been forced to adopt a minimum resolution of 720x576 or 704x576. Recommended audio bitrate levels will be removed from the code. But the three broadcasters, plus STV in Scotland, will be required to submit an annual report each July to Ofcom, including an analysis of viewer complaints relating to poor reception quality and technical faults, a summary of any significant service-affecting studio or playout faults, and a brief description of any notable changes in the technical architecture of the service. The revised technical code will also continue to require broadcasters to ensure that lip-sync issues don't "annoy" viewers, and multiplex operators will need to notify Ofcom of any transmitter outages lasting more than 30 minutes at main transmitter sites and 2 hours at relay sites. 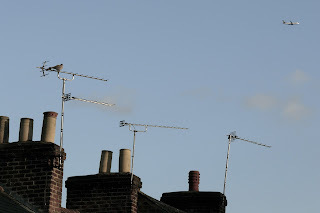 The minimum standard of availability of a Freeview signal is expected to be 99.8% of the time for viewers served by main transmitters and 99.0% for other transmitters. Ofcom decided against including HEVC for Ultra HD TV broadcasts in the revised code, but has made it clear it will welcome applications to use the standard in the future. "We do not believe that the removal of the SD resolution requirement will necessarily lead to the affected broadcasters delivering services with degraded technical quality. Nor do we believe that removing the resolution requirement from the three specific services to which they currently apply will lead to a wider reduction in picture quality on the DTT platform." However the loosening of the restriction could allow more channels to be launched on the Freeview multiplex carrying ITV, Channel 4 and Channel 5. Currently it carries 10 standard definition channels, although this could be increased if some or all services reduced their picture resolution. The changes could allow services such as ITV3 to be accommodated as part of the signal carrying most of ITV's other Freeview channels and made available to everyone using Freeview -- ITV3 is currently available to 90% of households, compared to 98.5% for ITV/STV - the maximum Freeview level of coverage. The move may allow more flexibility for channel operators as multiplexes changes take place around 700MHz clearance, when the number of frequencies available to Freeview are reduced.